Jimmy signed for United on an 'S' form from MacAlpine Thistle in 1977. He was called up for the reserves in 1981 and, in a United career spanning six years, he was a regular in the second eleven. Jimmy was also involved in the Scotland Under-18 squad in 1983. He made his first team debut for United in December 1983, coming on as a substitute against a Tayside Junior Select, in a match to mark the centenary of junior side Dundee Violet. He made his competitive debut as a substitute in the final minutes of a Scottish Cup tie against Aberdeen in March 1984. His first starting eleven appearance six weeks later against Motherwell at Fir Park ended prematurely, when he was carried off with a broken leg in the opening minutes of the game. 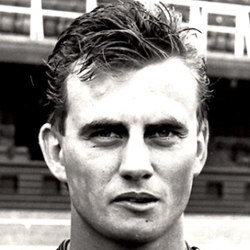 After he recovered, he continued to make infrequent first team appearances, also playing in the Tennants Sixes competition in January 1985, but hindered by persistent injury he retired from the game in August 1987, aged just 22. Not a classic encounter by any means as this frantic meeting produced few moments of goalmouth excitement. Aberdeen could perhaps claim the greater share of the minimal chances, Ian Angus struck the top of the crossbar and a deflected cross from substitute John dark hit a United post. As was to be expected in view of the final scoreline most of the top performers were in defence where Richard Gough, who was booked for a foul on Angus, was perhaps the outstanding player in Tangerine. 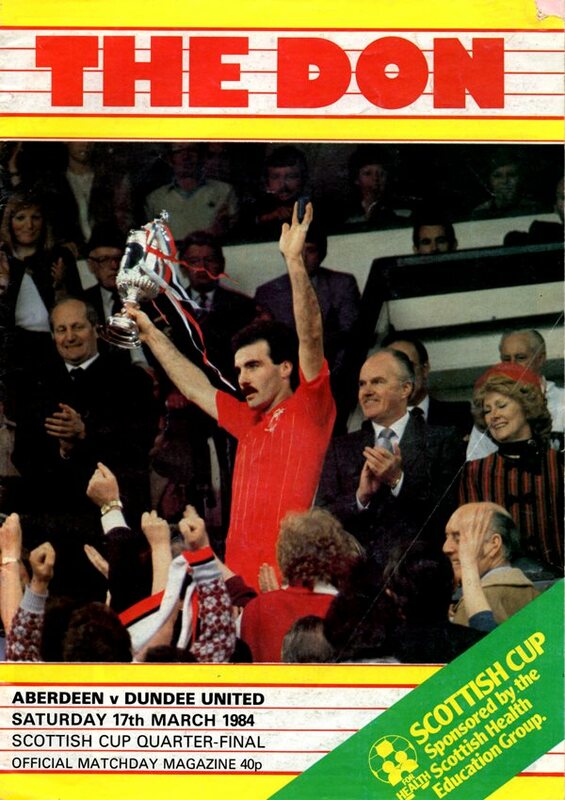 Willie Miller, Aberdeen's most accomplished player, was named "Mr Superfit" by the sponsors. Paul Hegarty and Maurice Malpas made welcome returns to the side but it was Billy Thomson who laid the foundations for this victory. Billy pulled off a quite remarkable early save from a Farningham header and within quarter of an hour of that we were two in front, which was just as well because both skipper Paul Hegarty and Maurice Malpas had to be replaced shortly afterwards. Profiting from Billy Thomson's heroics, we took the lead seven minutes later. 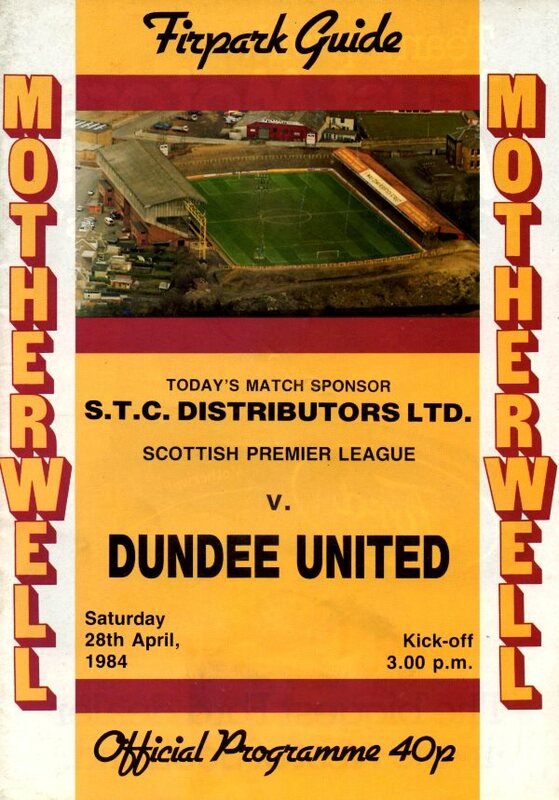 Mair's pass was easily intercepted by Paul Sturrock and Luggy's through ball to Ian Redford was deadly accurate as was Ian's low angular drive which gave Maxwell no chance. Our second came six minutes later when Jimmy Page fed Iain Ferguson on the right. Iain did well to get in a cross from the bye-line which Maxwell got a hand to but failed to hold and Jimmy Page applied the finishing touch. There was a double injury blow within the space of five minutes when skipper Paul Hegarty and then Maurice Malpas had to go off with a reaction to their previous ailments. The only outstanding Premier fixture of the season was of completely academic importance for both clubs, consequently both managers took the opportunity to blood several youngsters. In the tangerine ranks central defender Brian Welsh made the most of his chance with an impressive first team debut.